Business practices are changing dramatically with the unprecedented proliferation of devices like smartphones and tablets. Employees expect companies to provide options of working from remote locations on a device of their choice, industry experts call this new trend – BYOD (Bring Your Own Device). Customers are increasingly accessing websites, productivity apps and marketing content from mobile devices. Partners also expect transaction systems to be available on leading mobile platforms. 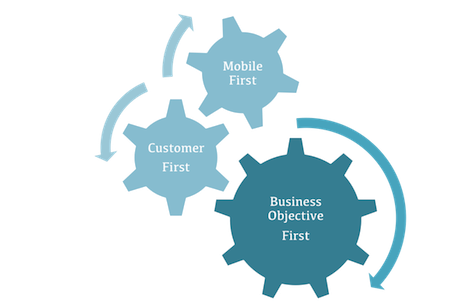 Technology deployment philosophy of ‘Mobile First’ is not a luxury anymore, it has become a matter of business survival and key indicator of how well your organization is adapting to the new business velocity. With right partner you can make transition to mobility less disruptive. App developed by Fliplog has been on iPad App Store from day one. We have learned to move at the speed of new business velocity. We did this by developing unique business driven processes for each phase of the mobile app development. Fliplog accelerates mobile transition by putting focus on customer value and agile experimentation. How can you improve sales operational efficiency with mobility? How can we address growing marketing challenges with content marketing on mobile destinations? Which platforms to support first – iOS, Web or Android? Apps versus mobile web? What makes sense and how to go about? How to integrate back end systems with mobile app publishing services? How to manage digital content strategy in order to win fierce mobile distribution challenges? Contact us and get a free 1 hour consulting on how your business can embrace mobility.